Anyway, I like to think of myself as ultra frugal when it comes to wrapping gifts. 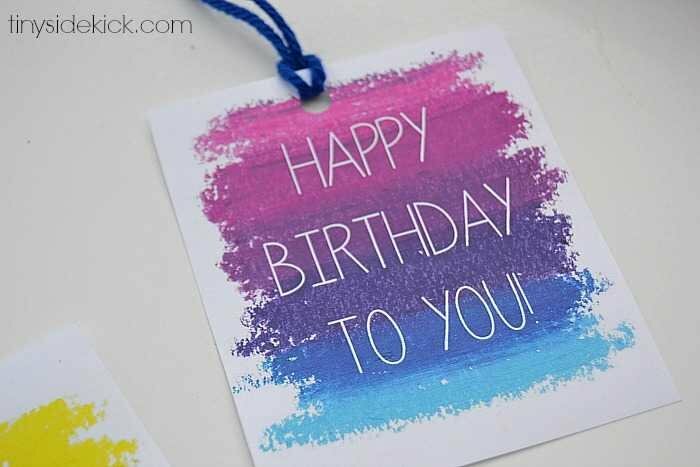 A gift bag alone can cost you more than 5 bucks, so around here we are very into wrapping paper and diy gift tags to cut cost. So the other day when we were doing some art in the back yard, I got out my old oil pastels from college and was playing around. So. much. fun. 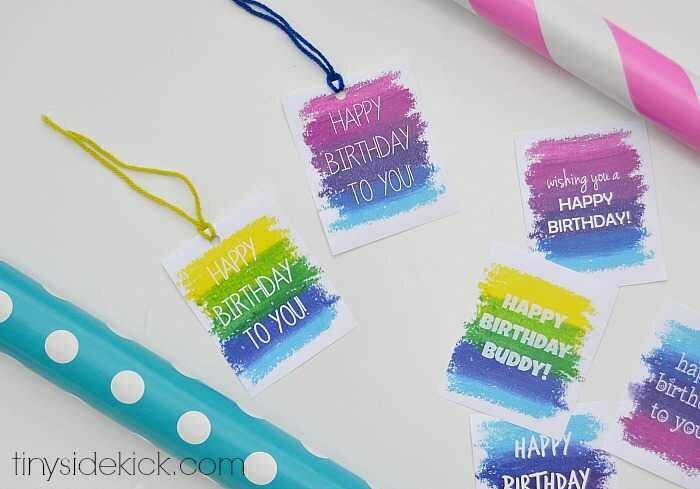 The result are these free printable birthday gift tags for all of my fabulous readers! I took my oil pastel doodles and scanned them, added some text and boom. 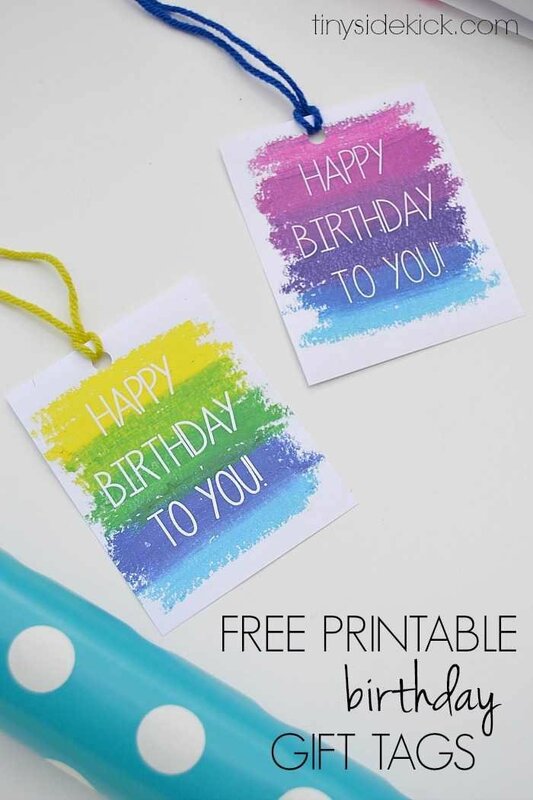 Instant gift tags that cost less than buying a card for you to print out and attach to your next birthday gift! I sorta love that the texture of the oil pastels shows up. The colors are definitely ones that brighten my day. They actually make me want to use them on my walls…not possible, I know. I tried to vary the color combos to make some more girly and some more boyish for you. So there you go! A freebie just for you. Enjoy! Each sheet will have 6 different gift tags. There will be a faint grey line to show you where to cut. Click here, save to your computer. Print as many as you want. *for personal use only. not to be sold. Thank you for saving me a last minute trip to the store today! My daughter loves these and they coordinate perfectly with the gift bag we bought. Aren’t these fun?! Glad to help, Billie! Thank you Corey 🙂 These are unique tag. These are awesome! 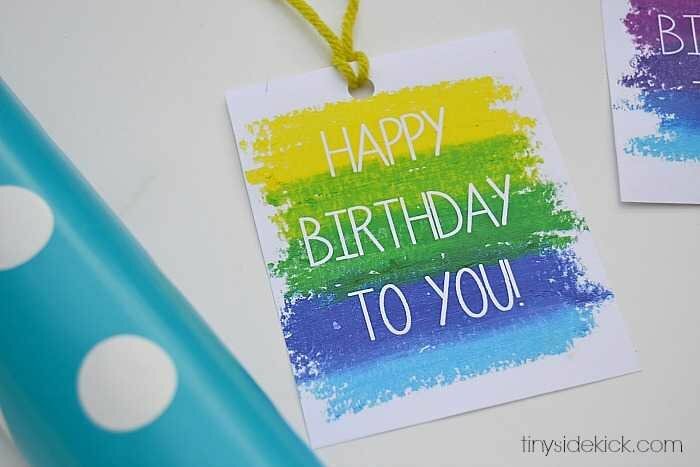 Can you tell me what font you used for the first gift tag (top left) as I might try to be super clever and print on the back of the tag. Thanks, Libby. These tags are so cute and colorful. I look forward to using them. Thanks for sharing. You are so welcome Denise! Brilliant idea, really! How did you get such rich colors after processing it through a scanner? Please share. Thank you! I just colored on the paper with oil pastels and scanned it. Saved it as a photo and edited just a little bit to bring out the colors. I love how bright they are! When I printed I had them done at a copy shop so they were really high quality but it was still under a buck for the page.